Fitted out to a very high, media style specification, the fifth and sixth floors at New Penderel House offer meeting rooms, a large kitchenette and break out areas. The building is located on the south side of High Holborn opposite Mid City Place and equidistant between Holborn & Chancery Lane Stations. There are a good selection of shop, cafes, restaurants and bars in the immediate vicinity such as The Rosewood, Hoxton Hotel, Bounce and Joe and The Juice. With the fifth and sixth floors measuring 3,380 sq. ft. respectively, they can be taken separately, or together to create 6,760 sq. ft. of office space. The floors can be accessed by two passenger lifts and benefit from excellent natural daylight, good floor to ceiling height, modern strip lighting and fully accessible raised floors. 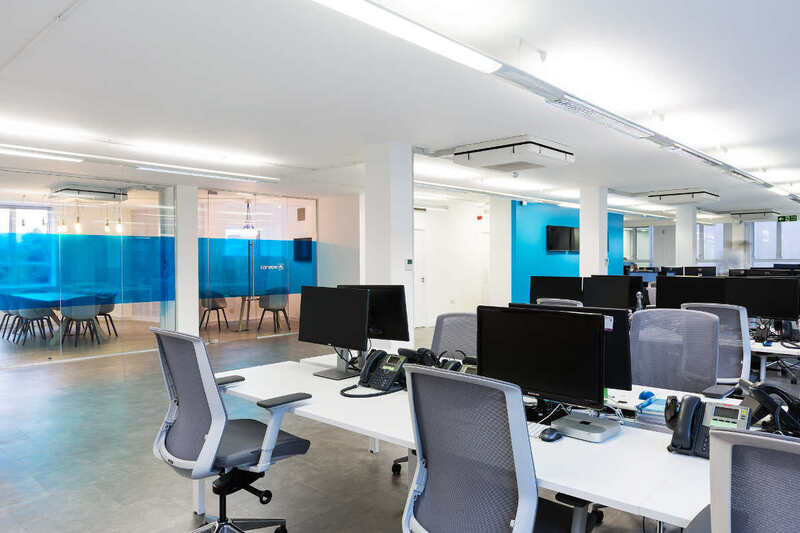 For further information about this office or to see how we can help with your office move, please call 020 7336 1313.